When it comes to gadgets, determining what to buy can be cripplingly confusing. Luckily, the Internet is a wonderful research tool to simplify any buying decision. If you’re thinking about stepping up your game and investing in a Kindle we’ll give you a snapshot of 5 important things to bear in mind. This list is by no means exhaustive. Browse the site for many more articles and reviews of all the Kindle variants so you can get the right one for your needs. One of the first things to think about is connectivity. If you live somewhere with constant access to Wi-Fi hotspots, whether at home or in the office, it perhaps makes sense to roll with the Wi-Fi only version. You have the option of downloading and reading books offline, so, if you’re not permanently hooked up online, it’s unlikely to be a deal breaker. If you don’t have access to Wi-Fi on a regular basis, it’s highly advisable to choose the Wi-Fi + 3G model. This functions like the Internet on your phone when it is not on Wi-Fi and you can still access the App store whenever you want without having to seek out Wi-Fi. For anyone who is regularly on the go, the Wi-Fi + 3G option offers greater convenience without being tethered to a Wi-Fi connection. For a more detailed comparison of these models, go here. What is the primary intended use of your Kindle? Do you want a dedicated e-reader or something you can read on alongside enjoying full web-based capability?
. Everything displayed is in grayscale. The display on this type of Kindle looks very much like newspaper print. Its purpose is to evoke the feeling of reading a real book. E Ink ensures there’s no glare or eye strain. 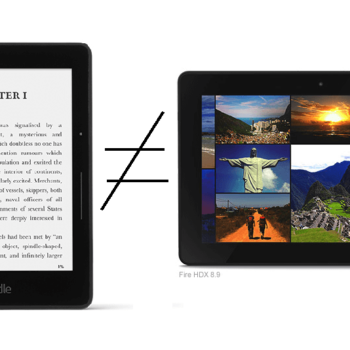 Kindles are exclusively designed for reading e-books. They do one job and they do it very well. , you’ll get some glare under bright light or sunlight. You can adjust the display brightness according to your preference. If you want everything in one package with some compromise on the reading front, the Fire is your best bet. Not all versions of Kindle come with a built-in light option. The integrated light allows you to read at night without a lamp. If you are a night owl and love hitting your books late, this feature is indispensable. have this built-in light. The latest Fires also pack this feature. With the basic Kindle, even the latest generation lacks the light. 4) Text to Speech or Just Text? Do you enjoy reading by yourself or enjoy being read to? which comes with a paper-like finish and does not have Text to Speech feature. Models with Text to Speech read out the content of your books for you. This feature is ideal for small children or anyone physically challenged. It’s perfect for anyone who loves to hear a good story. Please note that not all books come with Text to Speech option and this feature only works with compatible books. , and Kindle) don’t have Text to Speech (TTS) support. 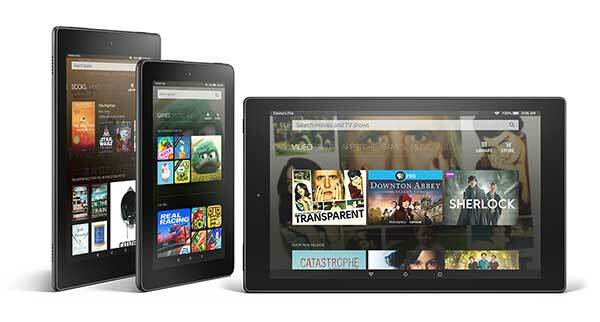 The latest versions of Kindle Fire such as the Fire HD 6, Fire HD 7, or the Fire HD: Kids Edition all have TTS support. Depending on your requirements, decide on whether you want to go for an exclusive e-book reader with no TTS support or a wider-ranging tablet with TTS support. Kindles come in different shapes and sizes. If you intend to do a lot of reading, opt for one of the 6-inch, lighter models. If you want a bigger display and don’t object to the extra weight, enjoy all that the larger displays offer. As with all elements of buying a Kindle, there’s no right or wrong answer. Think about what would work best for you and buy in line with that. 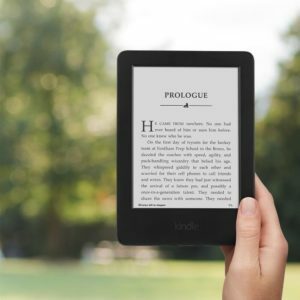 Think about these pointers to start whittling down your options when it comes to buying a new Kindle. Whether you want a rudimentary e-reader at a bargain basement price or a range-topping tablet offering far, far more, the world’s your oyster with Amazon’s impressive range of devices. Drop us a line if you need any further advice. We love to hear from our readers and we’ll help out in any way we can. Last updated by Sarah Lewinsky at February 15, 2018 . Features and functionality to keep in mind when you are looking to buy a new Kindle or upgrade to a higher version of the kindle for best experience. Informative stuff, really helps in deciding between the simple version and Fire HD. I want a simple reader but if I can browse and all in it, that’d be nice. Oh well.